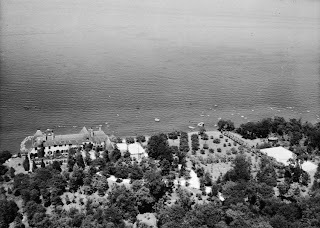 'Falaise', the Harry F. Guggenheim estate designed by Polhemus & Coffin c. 1923 in Sands Point. Click HERE and HERE for more on 'Falaise'. Photo from SMU's Robert Yarnall Richie collection. I toured Falaise back about 1972. At that time the admission was $3.00 per person, to be paid by check only; cash not being accepted back then. There were only two others on the tour besides myself, and we were transported to the house by Mr. Guggenheim's chauffeur, in his late employer's huge gray Cadillac limousine. I remember distinctly, on the estate road to the house, many sideroads along the way, and thought that an intruder would have difficulty trying to find the house. Impressions of the mansion itself; sprawling and comfortable ~ I could have moved right in and felt right at home. Giving more thought to Falais, I wasn't on Long Island in the summer of 1972. 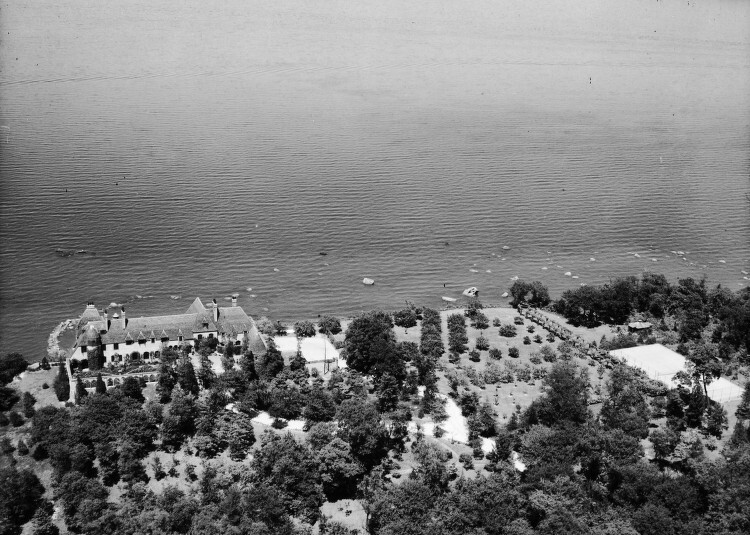 That year I remember vacationing in Quebec province, Canada. It had to be either 1973, or '74, when I was on the Island both those years. Whanever it was I believe it was the first season Falaise was open to the public, and on a limited basis.